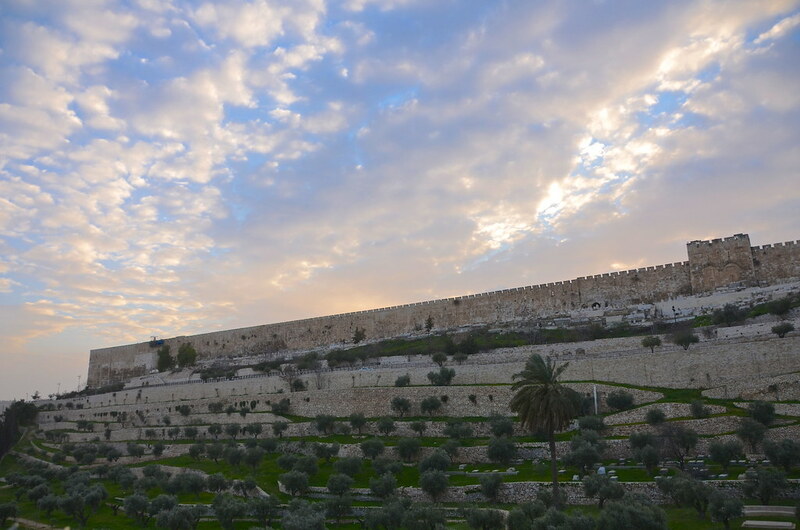 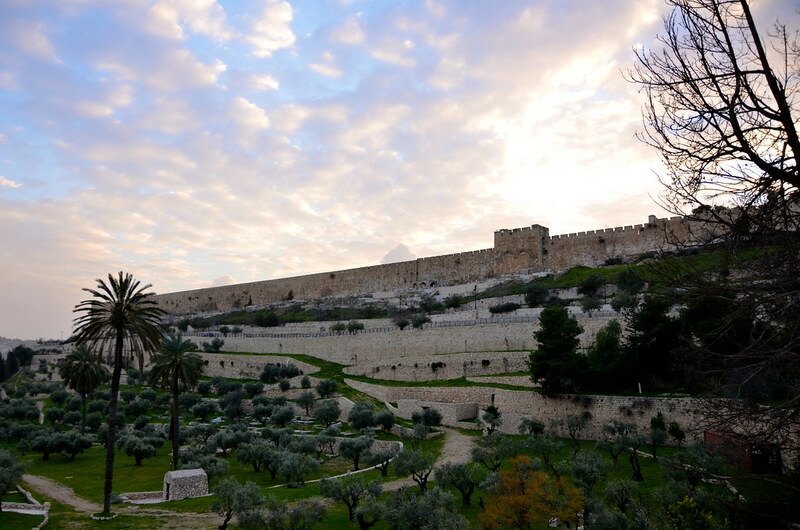 Mount of Olives is a mountain ridge east of Jerusalem’s Old City. 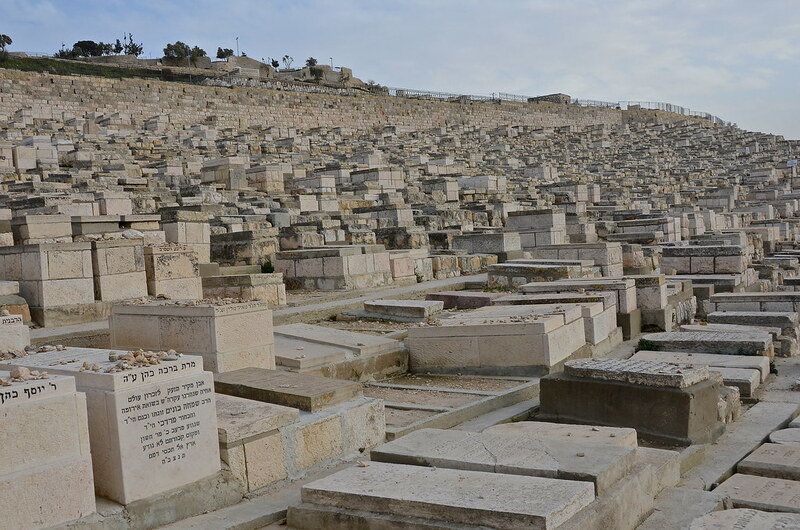 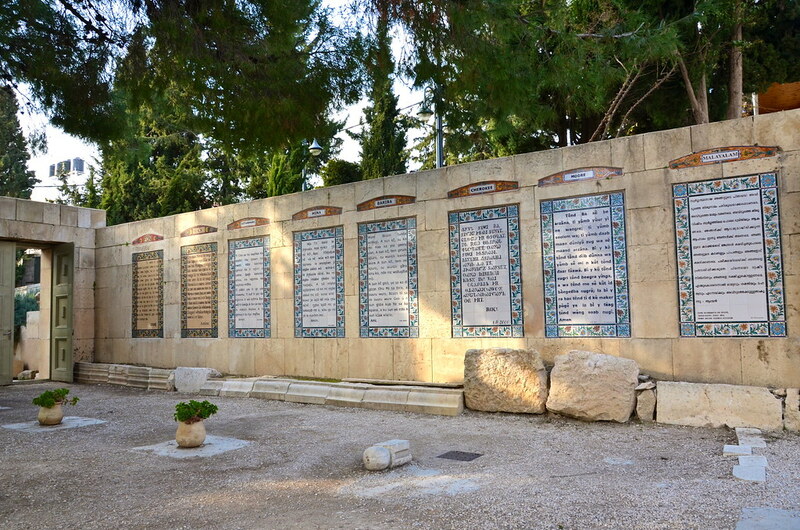 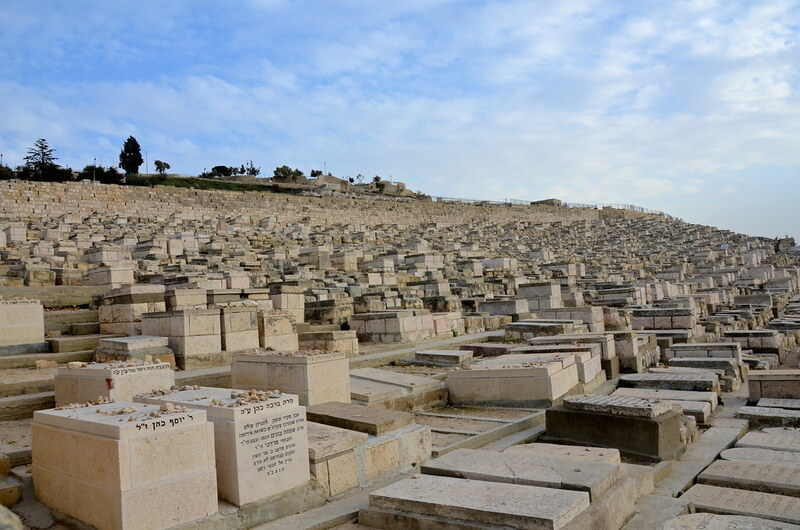 The mount has been used as a Jewish cemetery for over 3,000 years and holds approximately 150,000 graves. 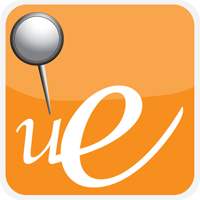 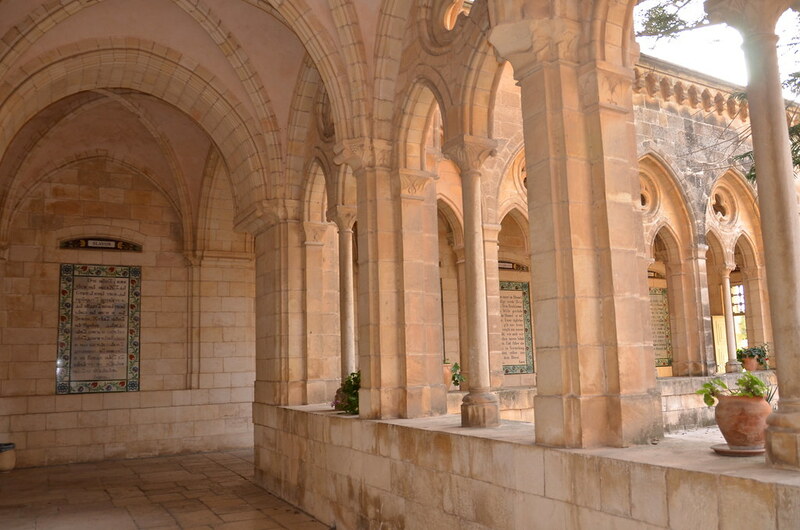 We booked a three-hour tour with Sandeman’s New Europe. 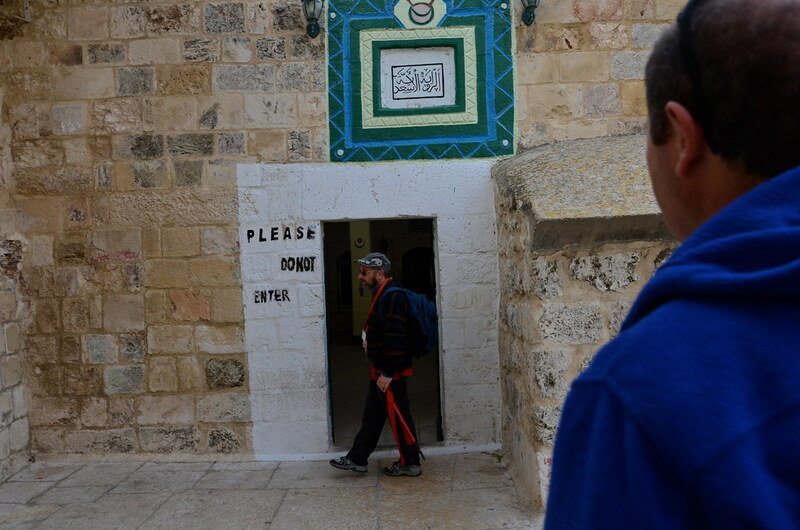 Our group of 8 was guided by Yaakov, a funny, energetic, and knowledgeable gentleman who calls Jerusalem home. 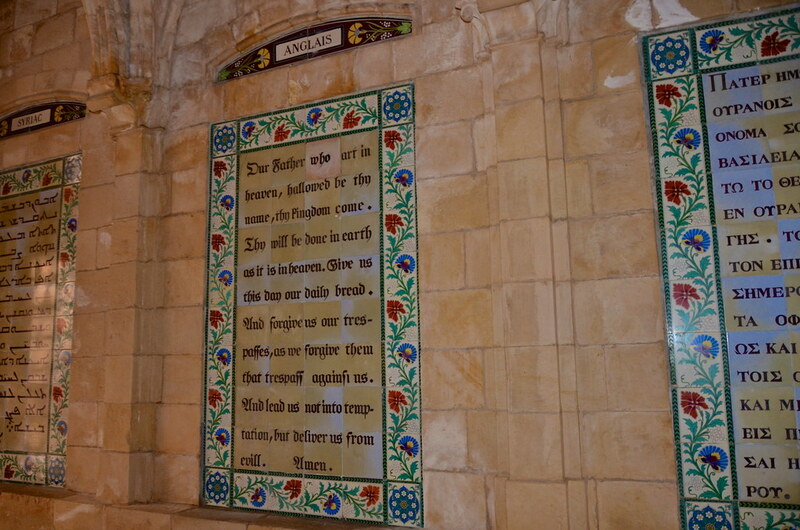 Our first stop was the Chapel of the Ascension. 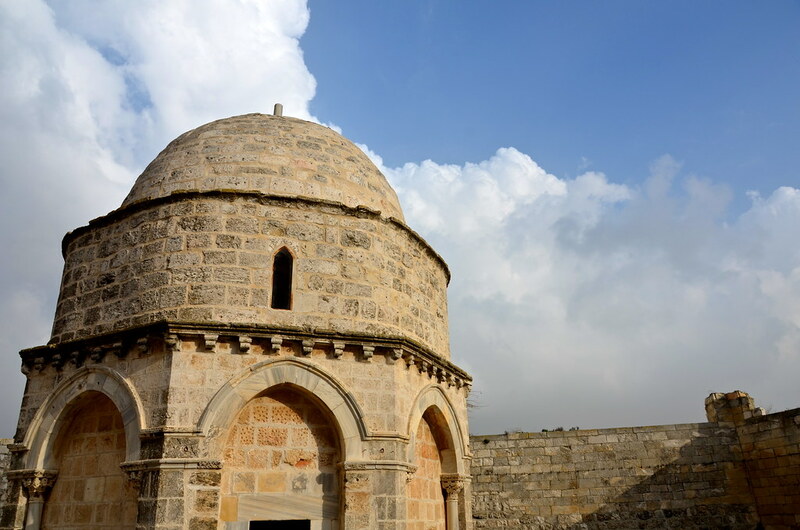 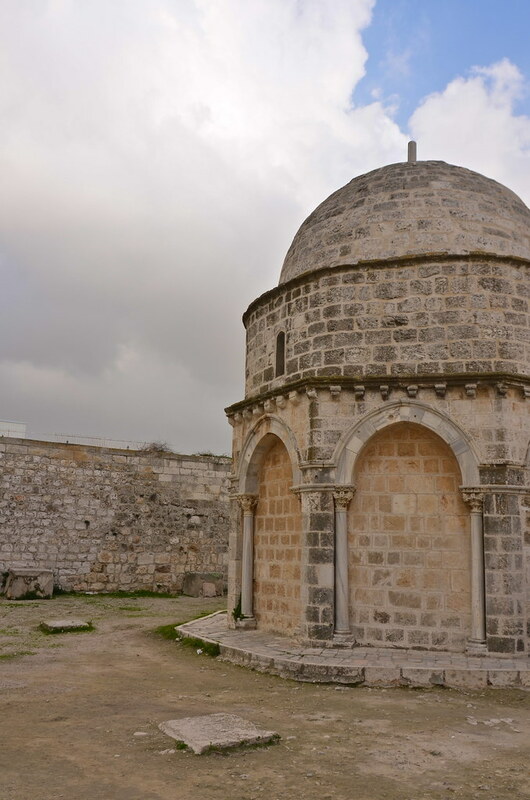 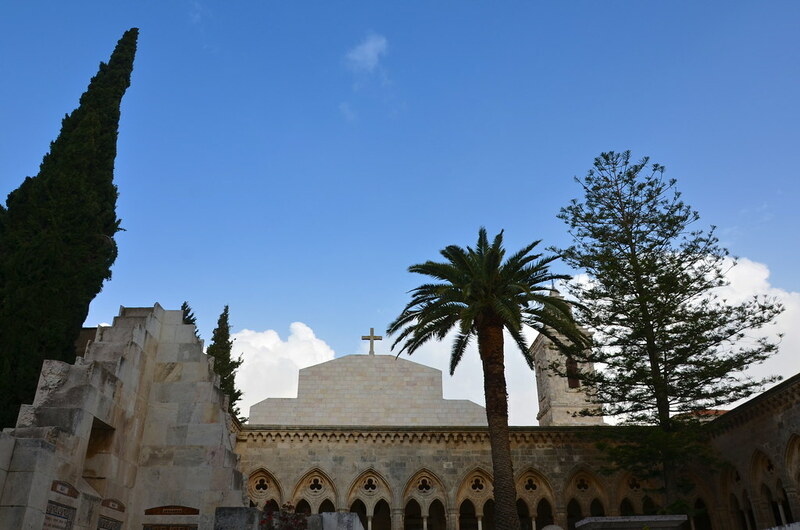 It is believed to be the spot where Jesus ascended into heaven forty days after his resurrection. 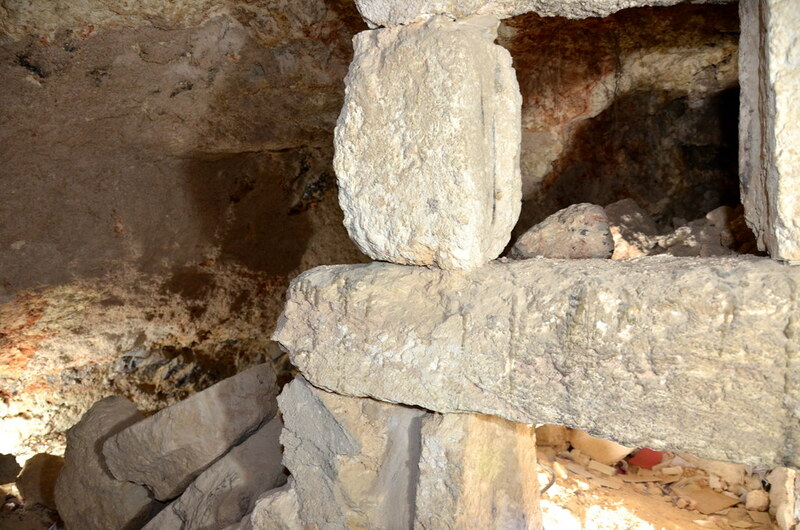 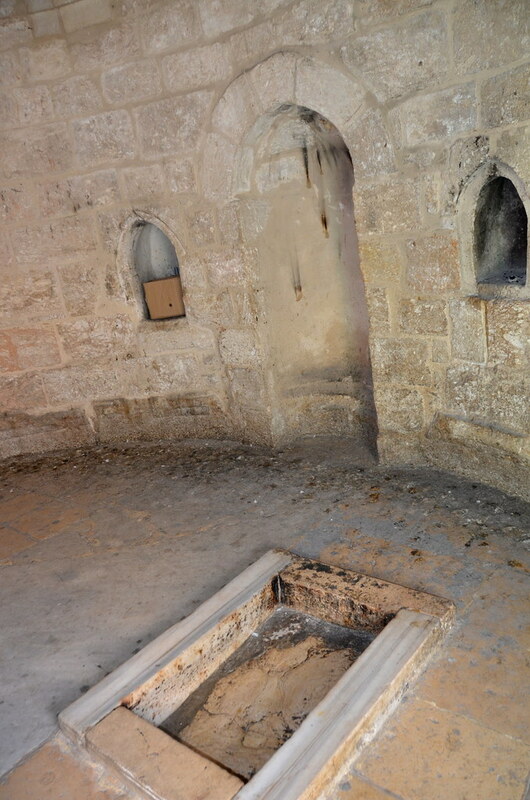 On the floor inside the octagonal chapel is a slab of stone called the Ascension Rock. 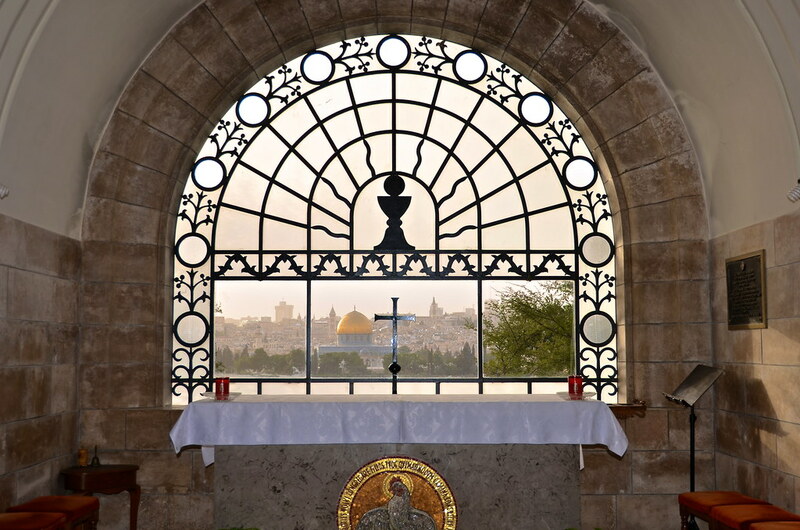 It is believed to contain one of Jesus’ footprints. 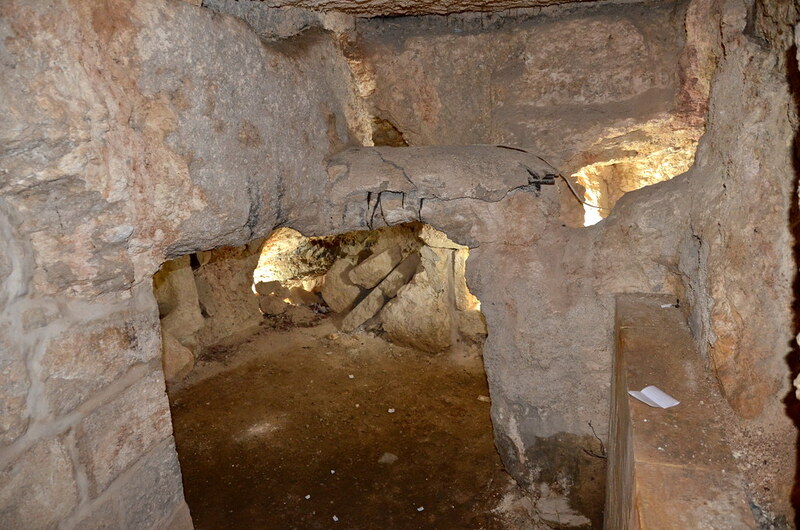 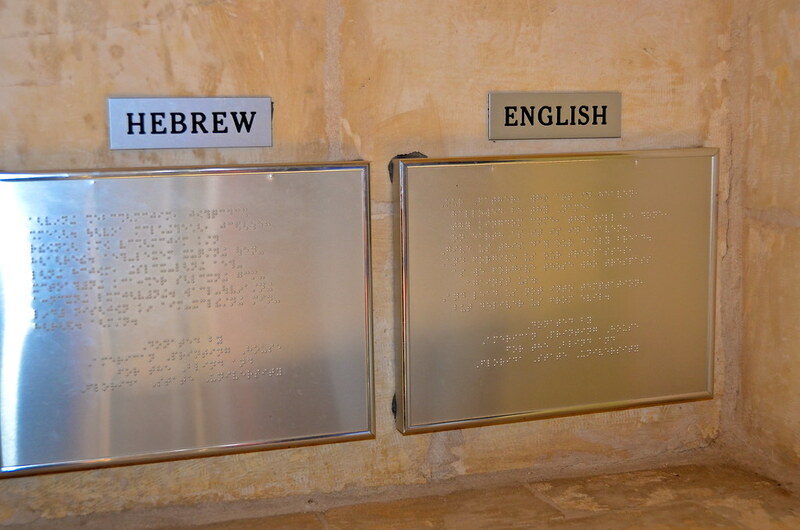 The Church of the Pater Noster was built over the cave where Jesus taught his disciples the Lord’s Prayer. 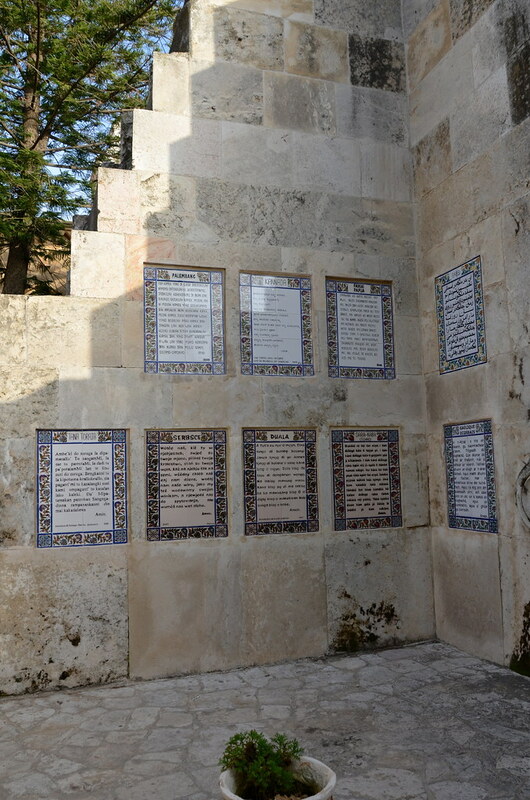 In the courtyard you’ll find plaques with the Lord’s Prayer written in over 100 different languages. 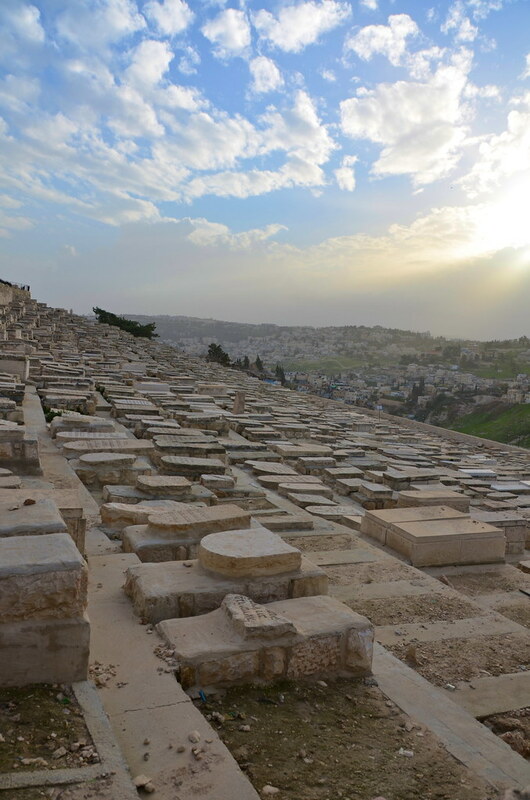 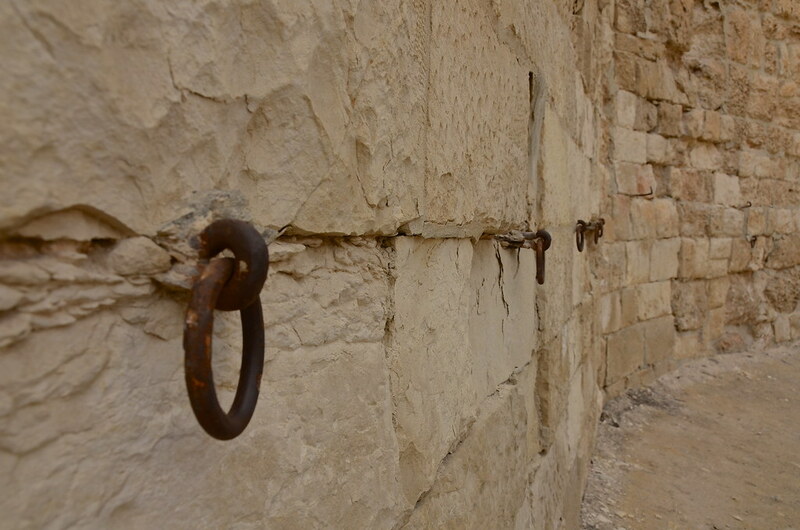 Yaakov took us to a couple of areas that offered stunning views of The Old City and The Mount of Olives. 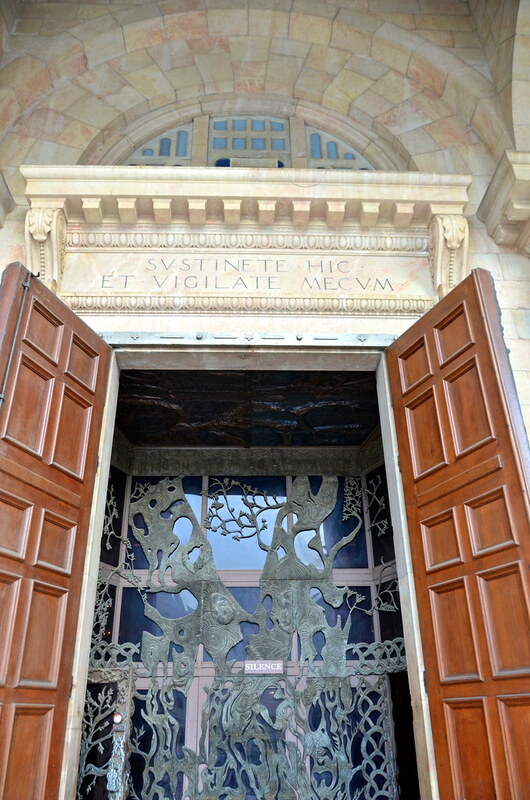 Our next stop was Dominus Flevit Church. 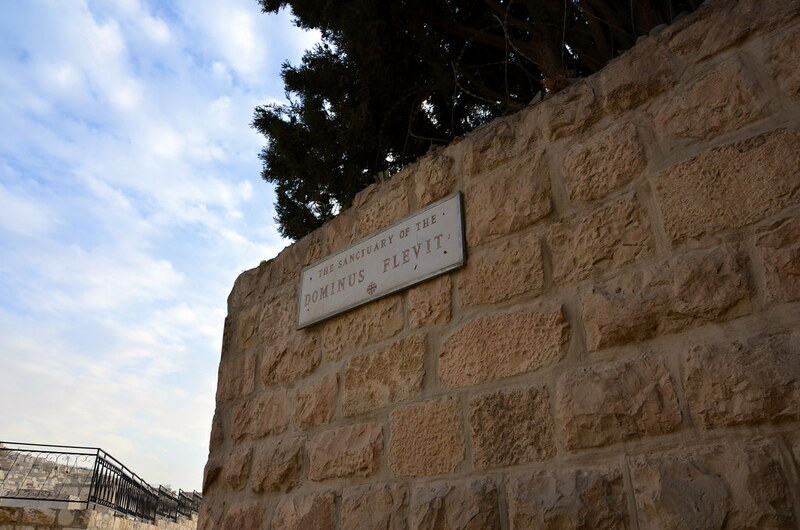 Dominus Flevit translates from Latin as “The Lord Wept”. 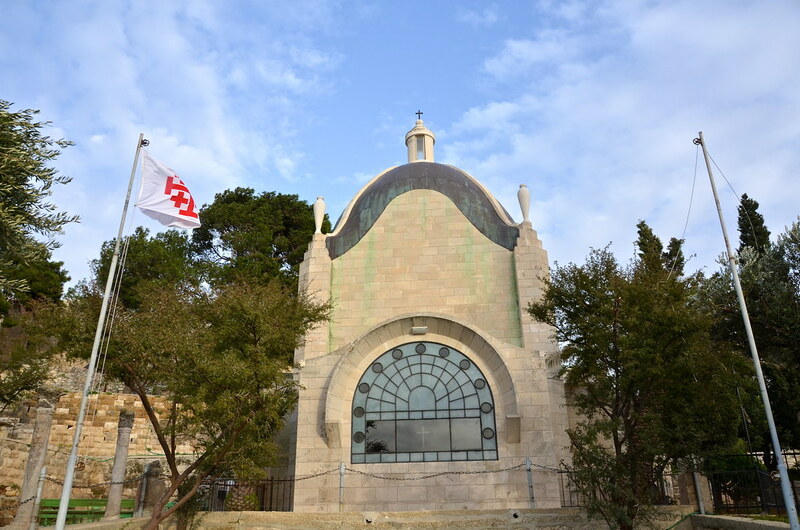 The church was built in the shape of a teardrop to symbolize the tears of Christ. 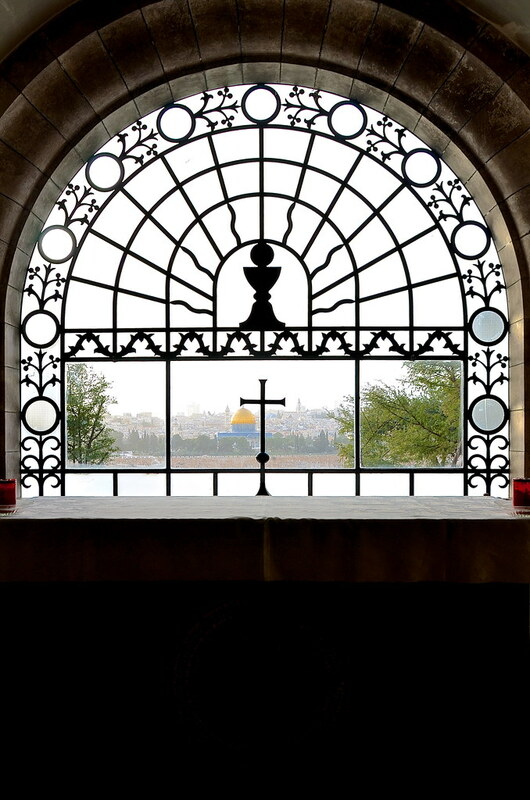 The arched window behind the alter frames The Old City perfectly. 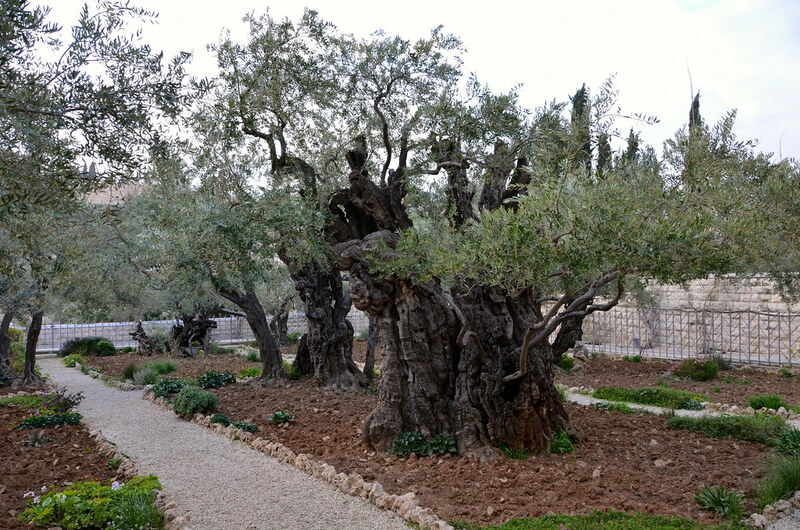 From there we went to the Garden of Gethsemane. 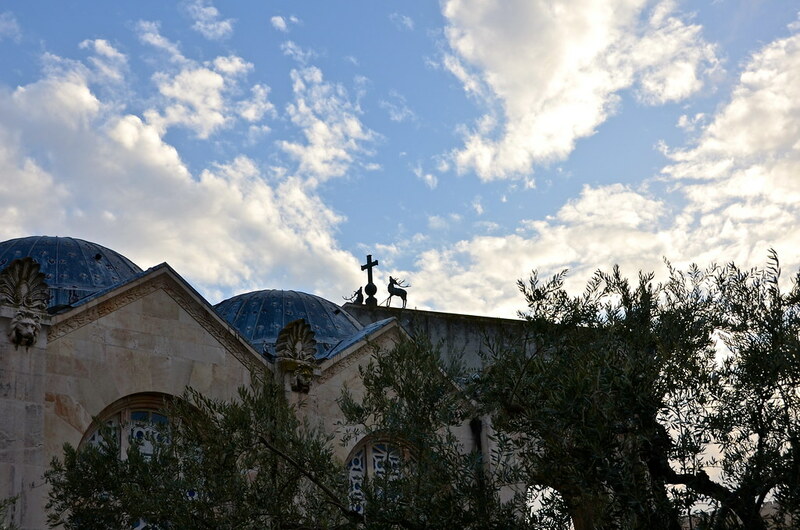 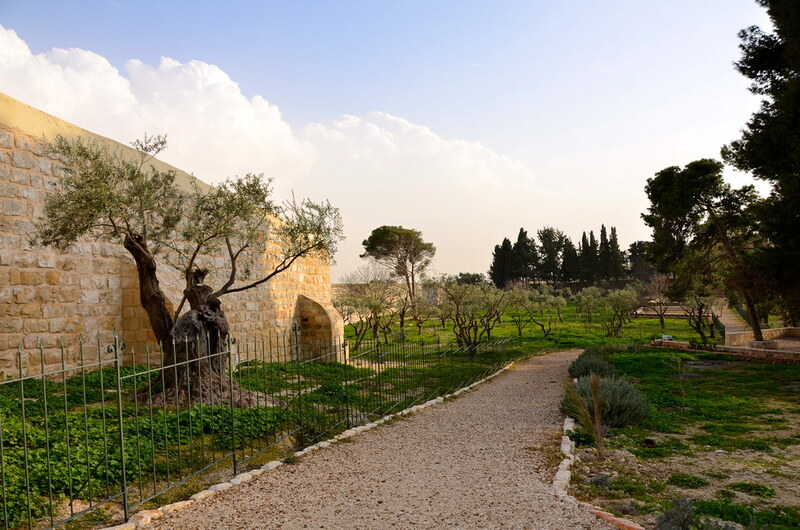 According to the gospels, the Garden of Gethsemane is where Jesus and his disciples prayed the night before Jesus’ crucifixion. 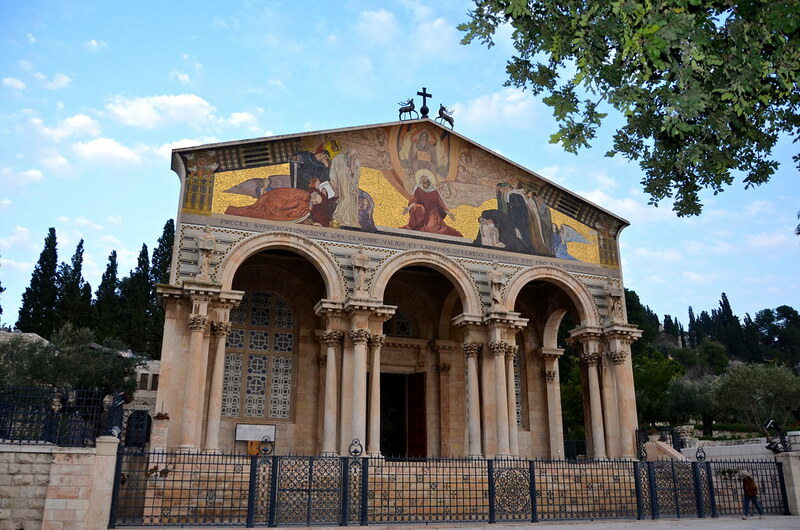 The last stop on the tour was The Church of All Nations, also known as the Basilica of the Agony. 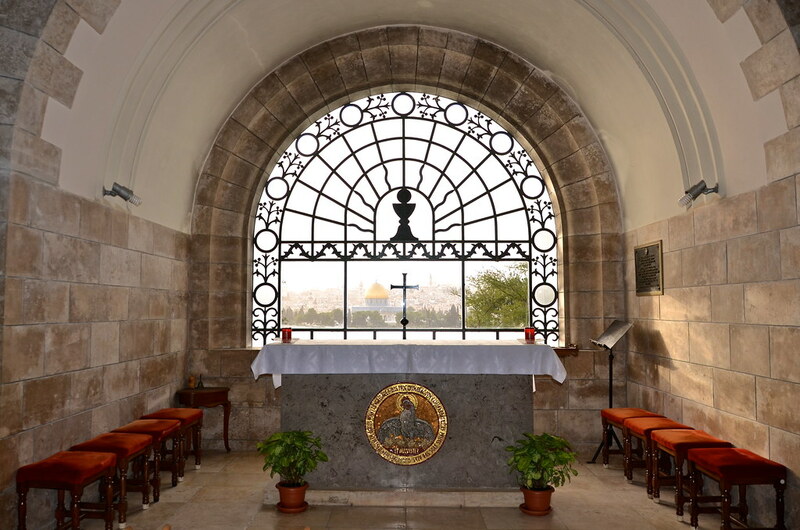 Inside the church is a large slab of rock believed to be the rock on which Jesus prayed in agony on the night of his arrest. 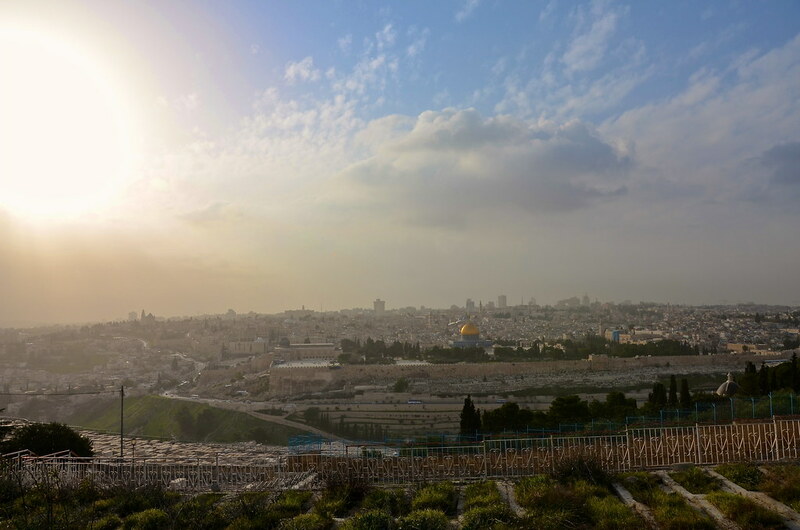 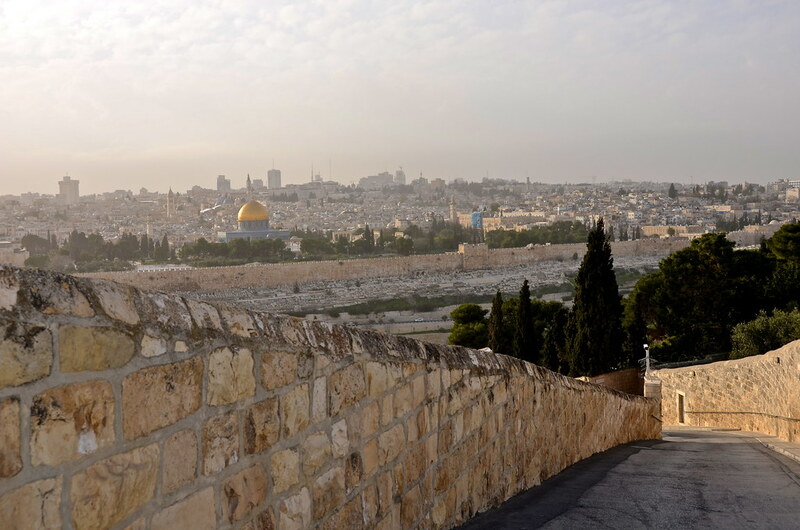 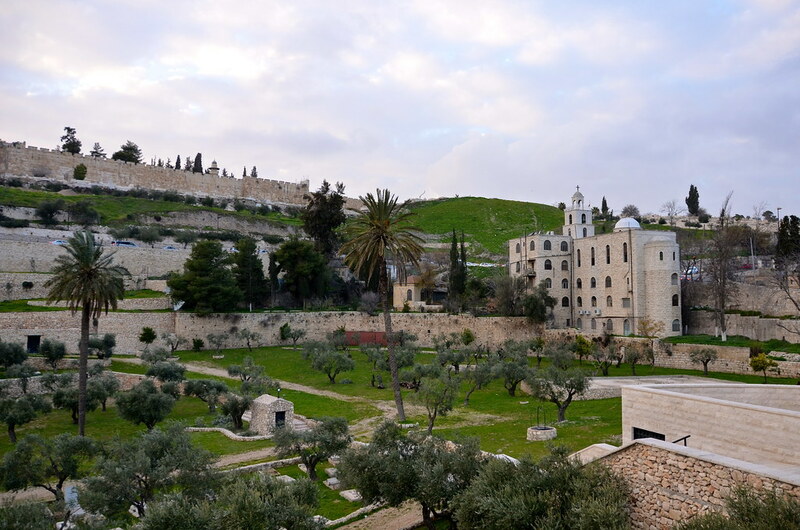 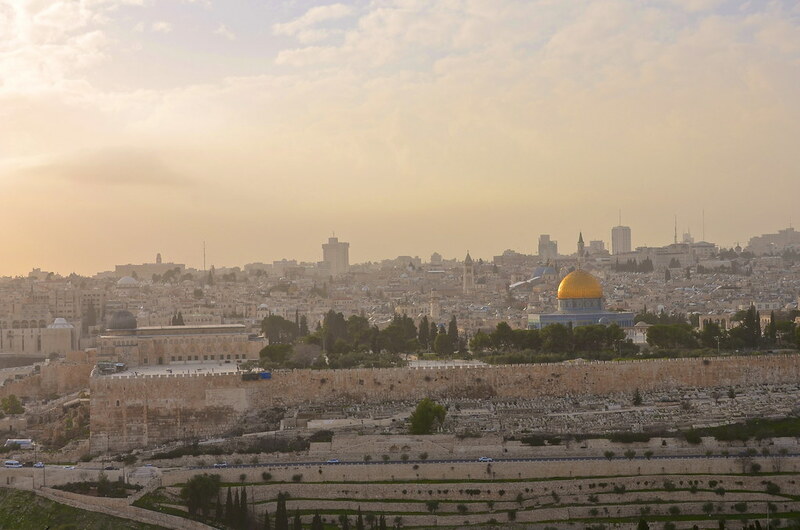 A visit to the Mount of Olives is a must during your trip to Jerusalem. 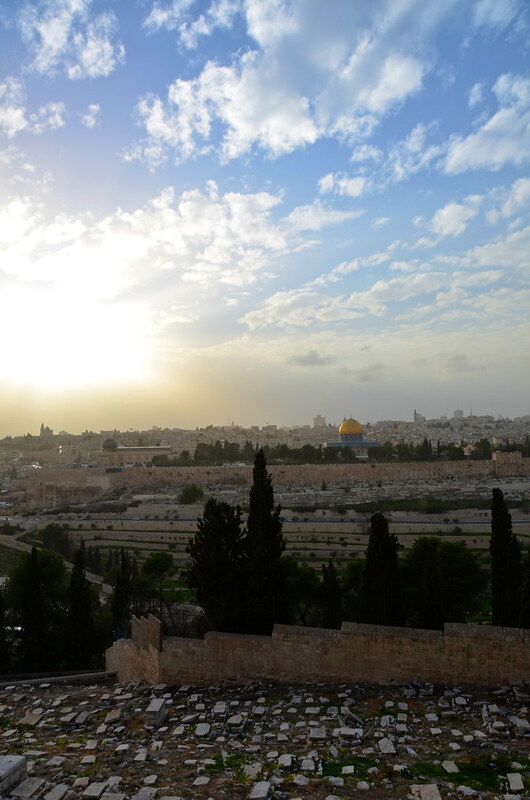 You can read about our time in The Old City of Jerusalem HERE and all of the delicious food we ate HERE.